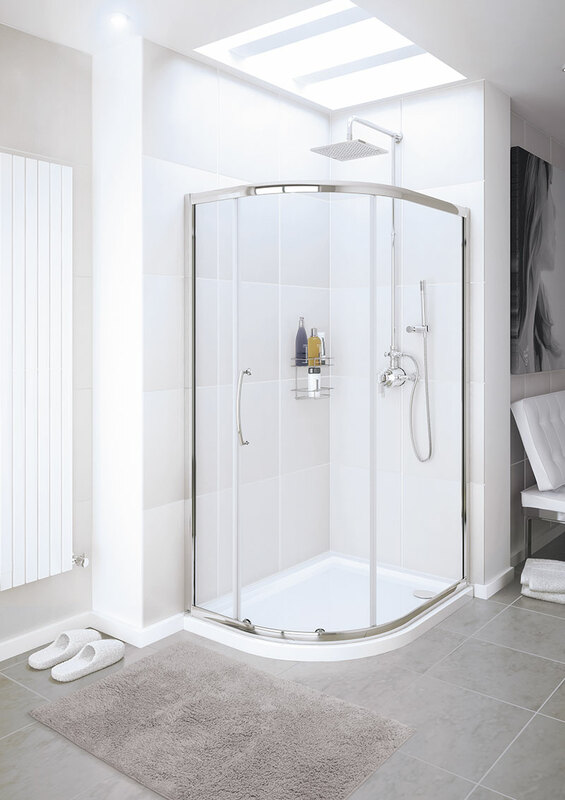 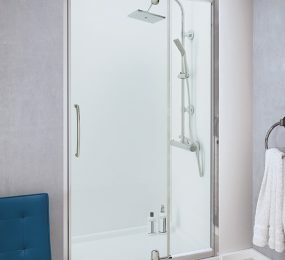 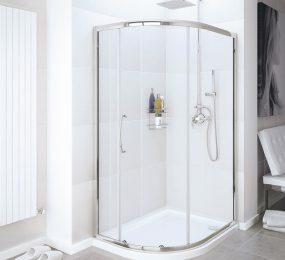 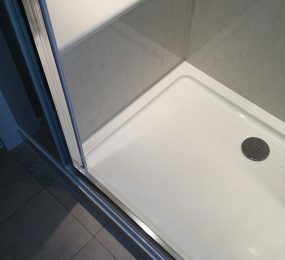 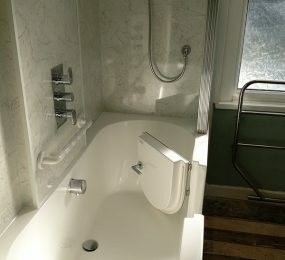 Have a browse through our gallery and you will get an idea of how we create bathing solutions that are not only stylish and modern, but also safety-conscious and low maintenance. 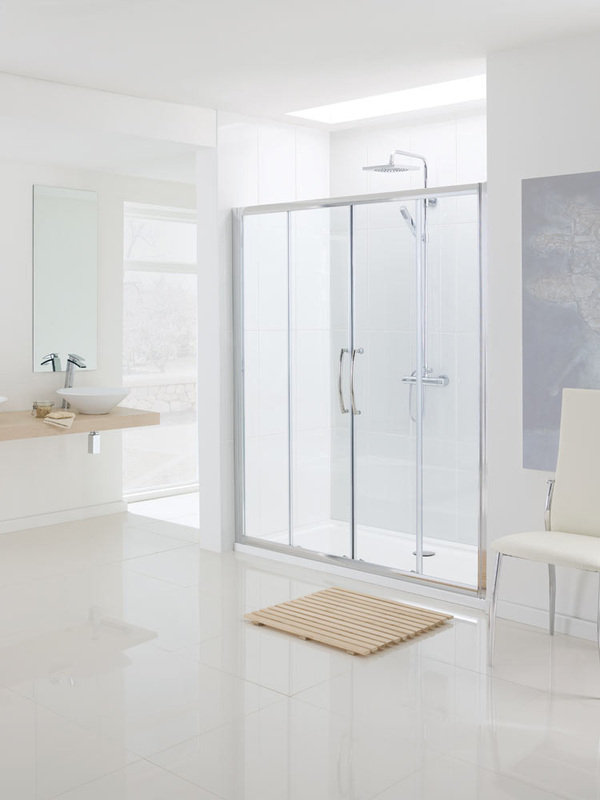 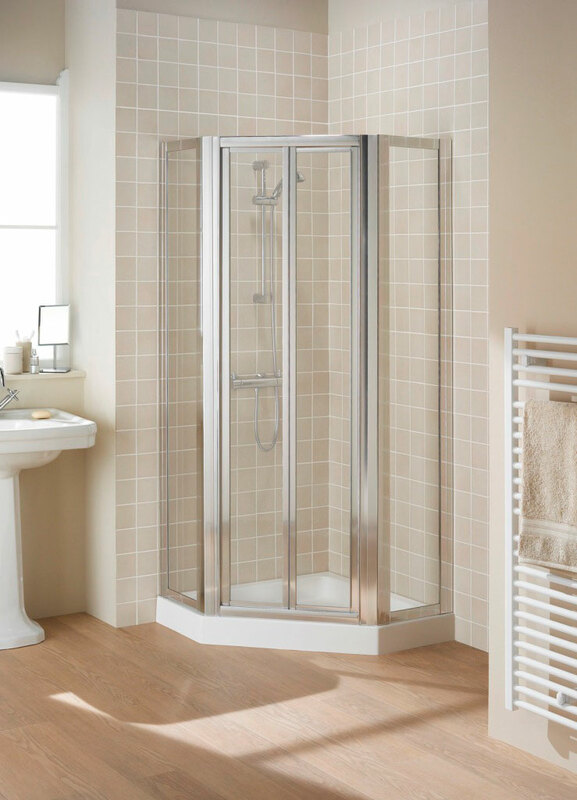 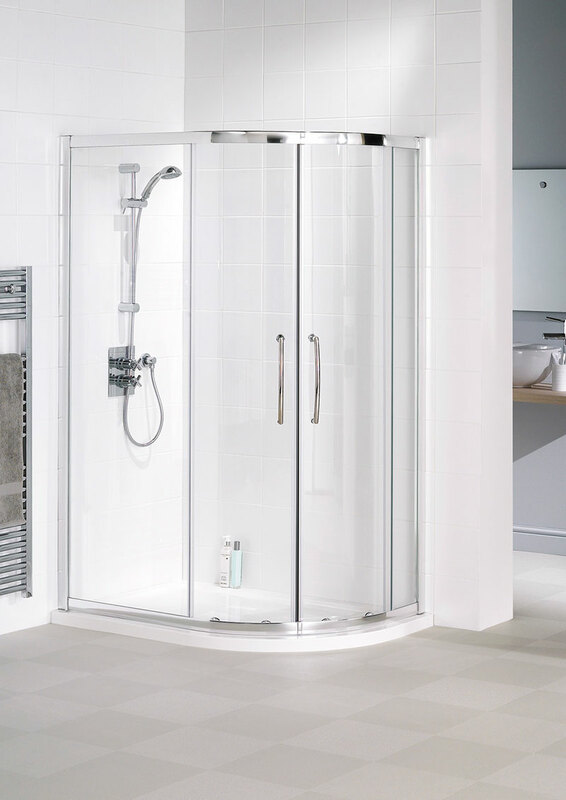 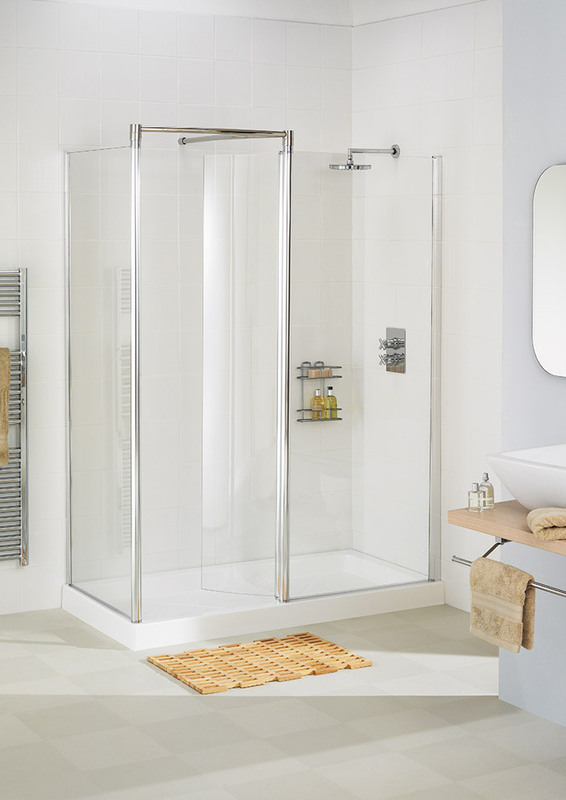 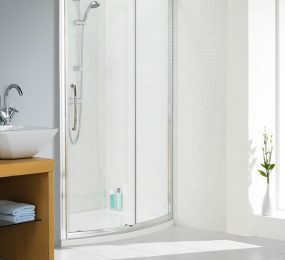 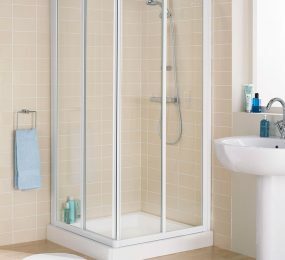 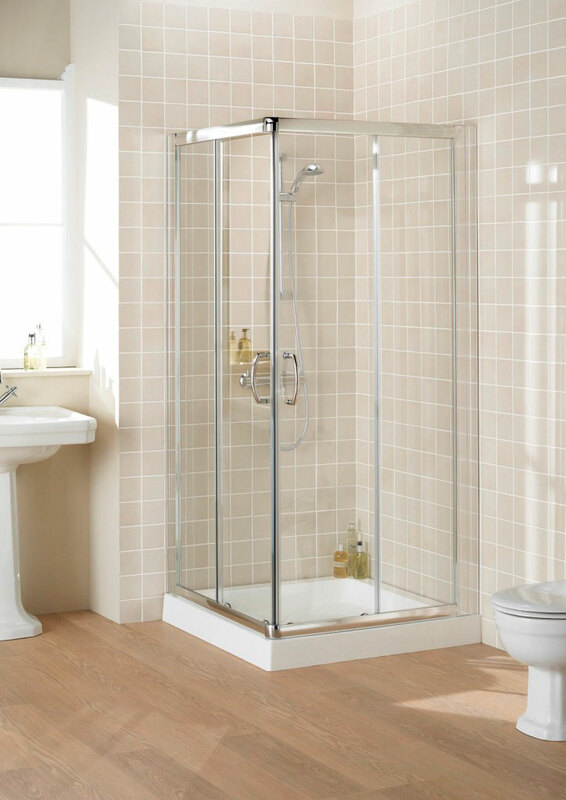 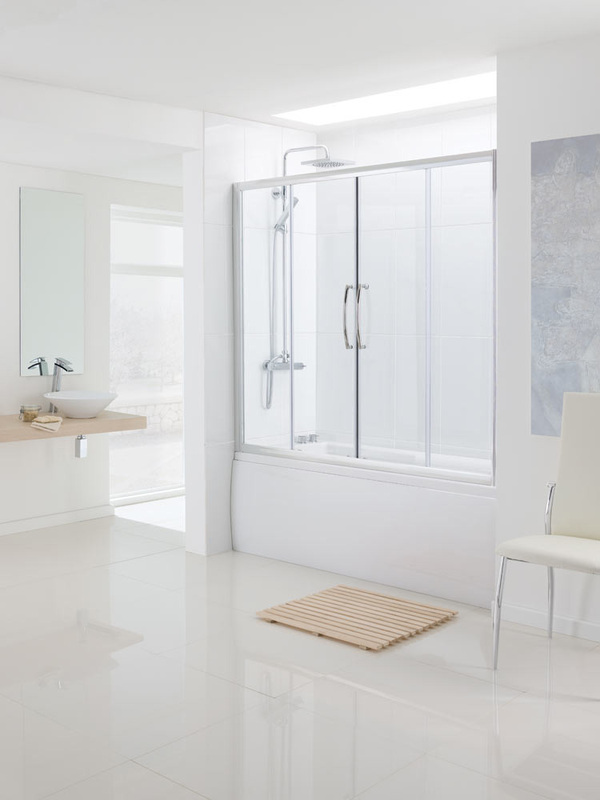 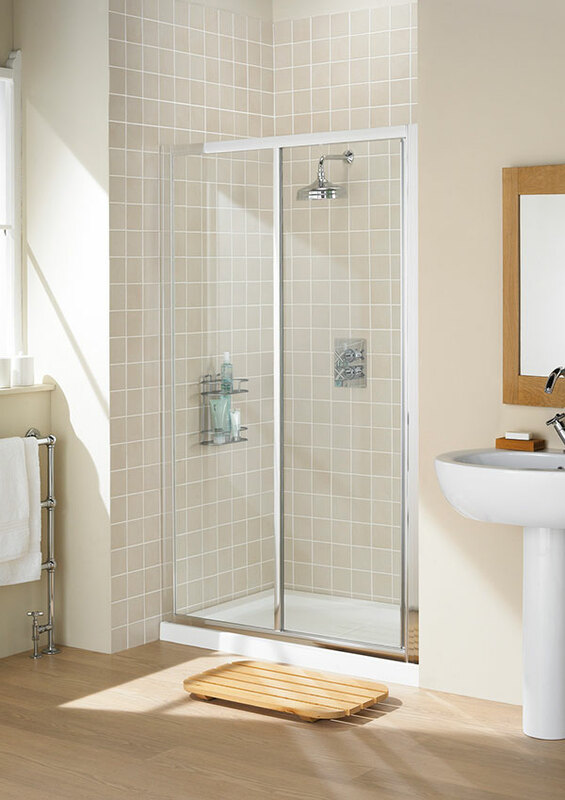 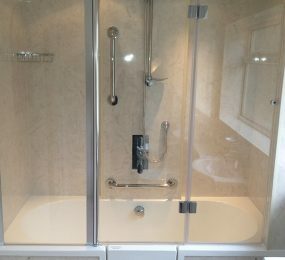 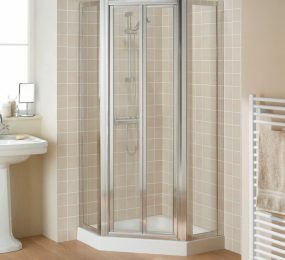 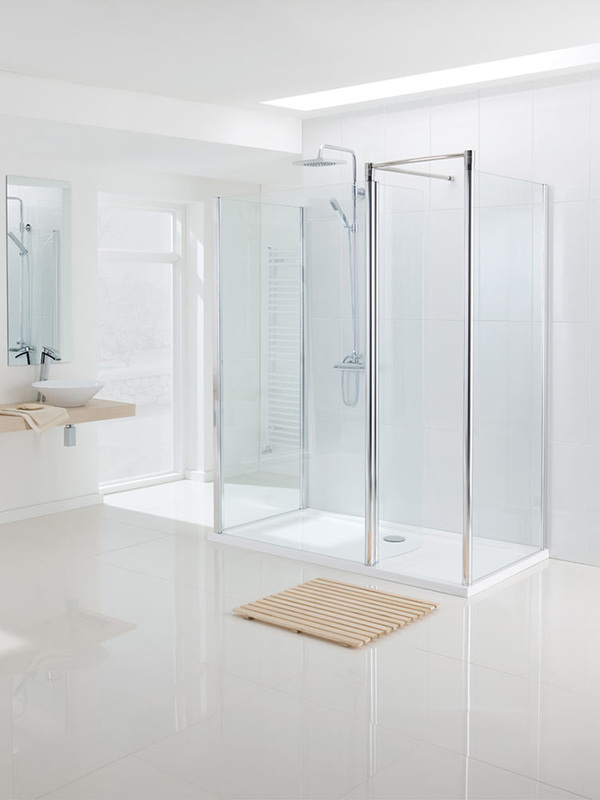 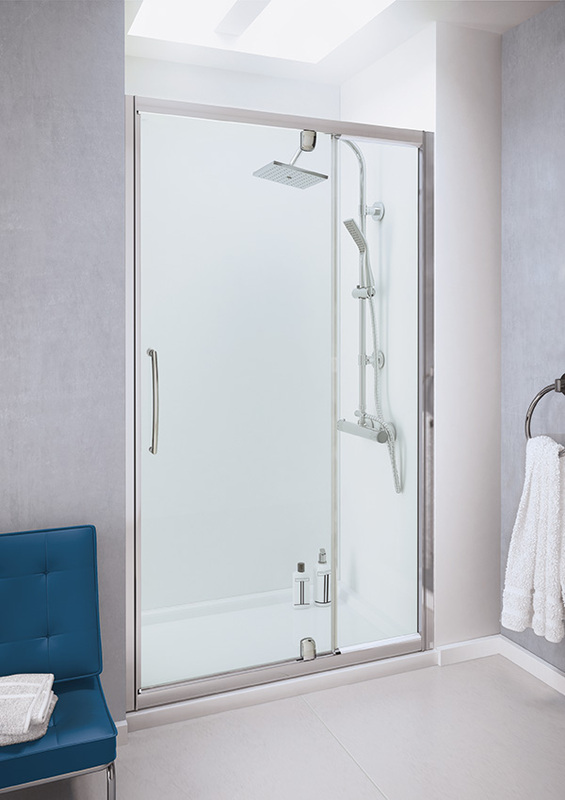 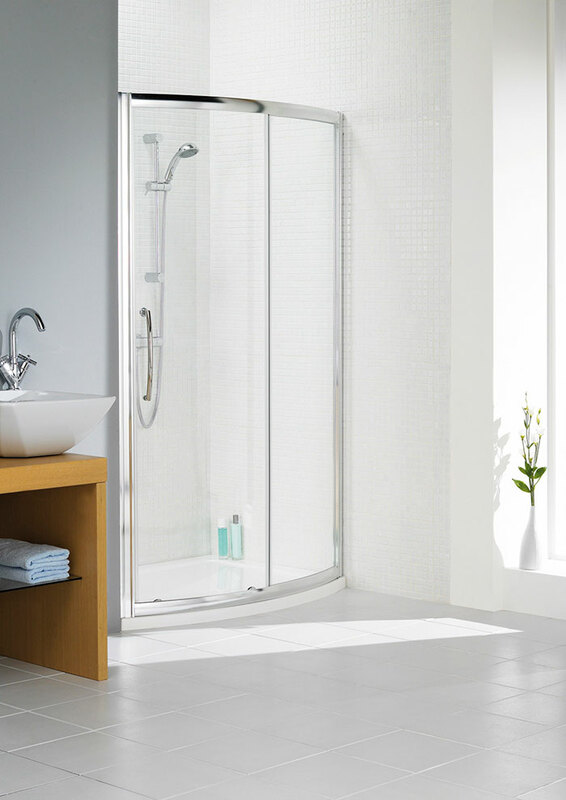 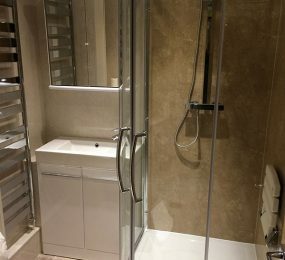 At WISCO – Walk In Shower Company – we pride ourselves on designing a shower or bathroom system to suit both you and your home. 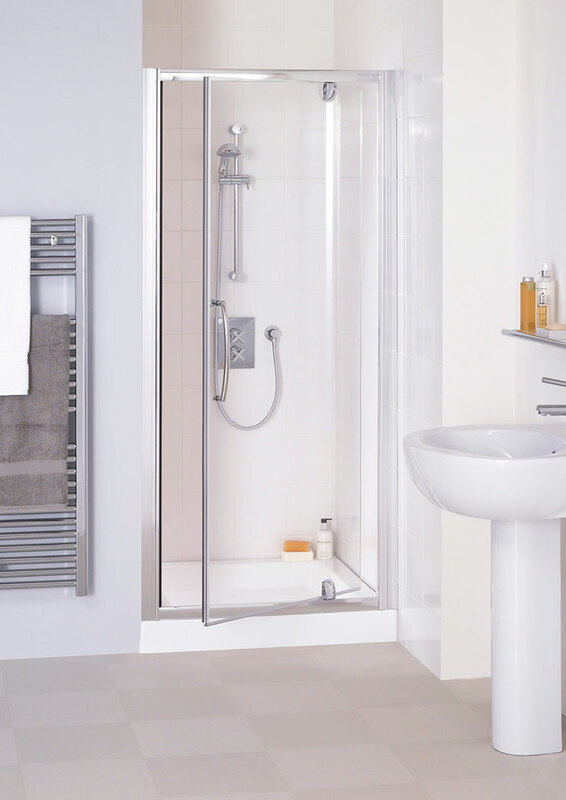 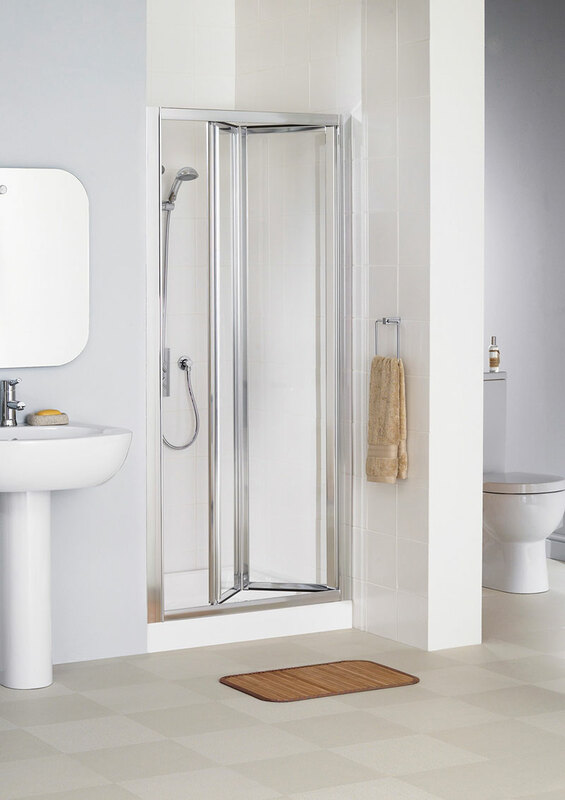 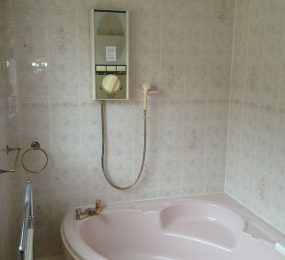 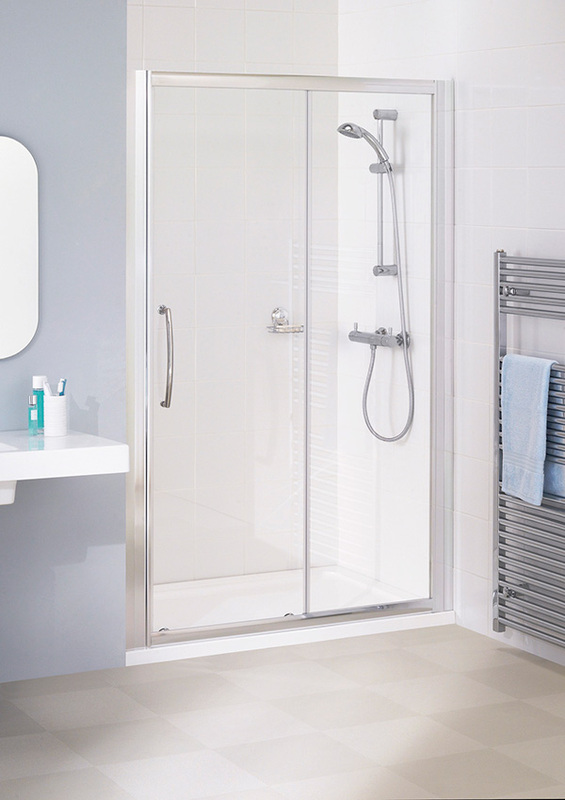 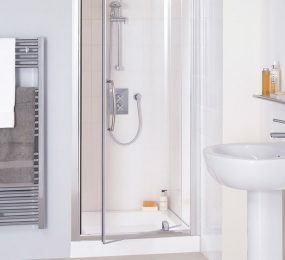 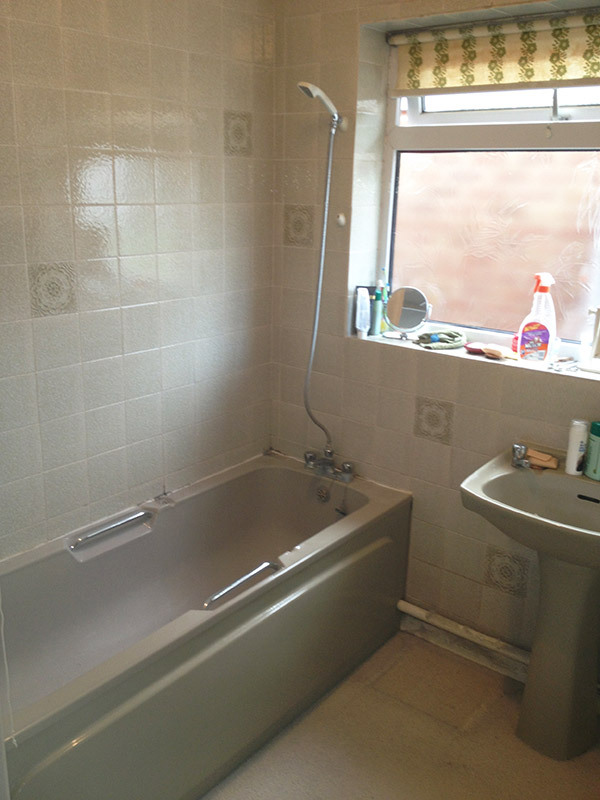 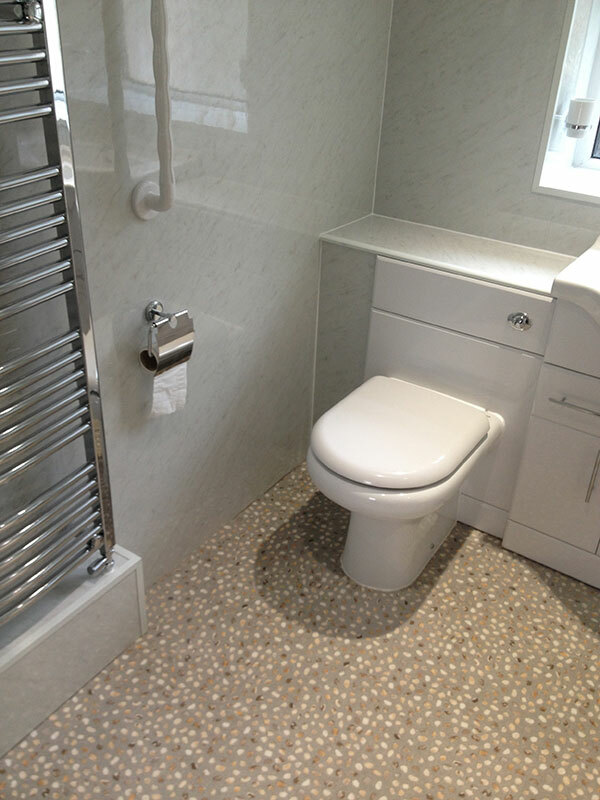 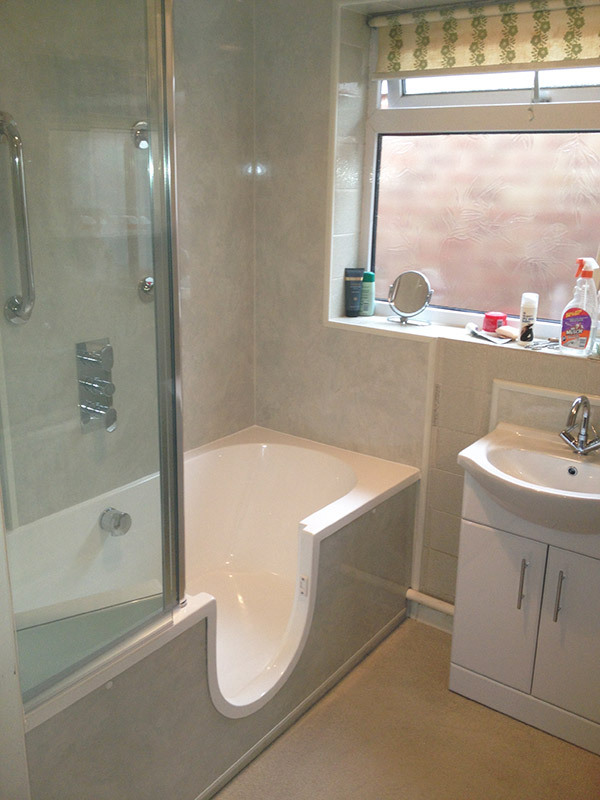 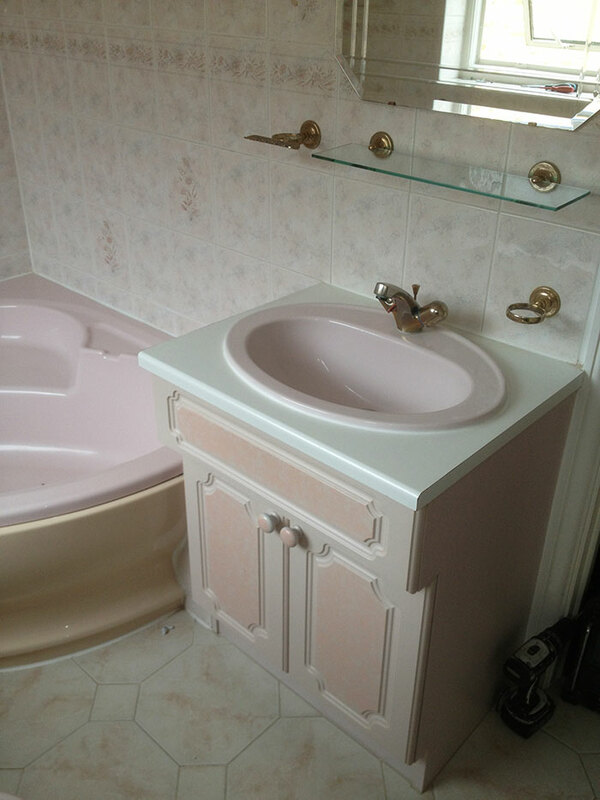 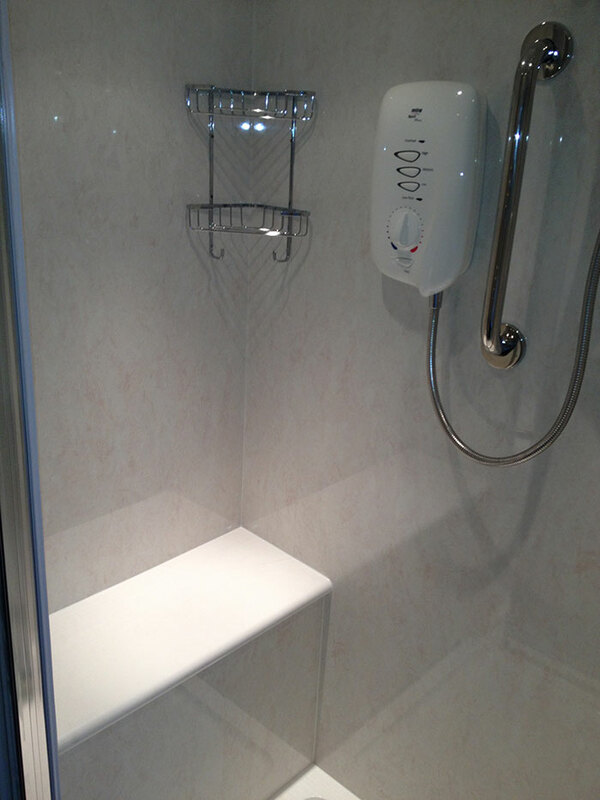 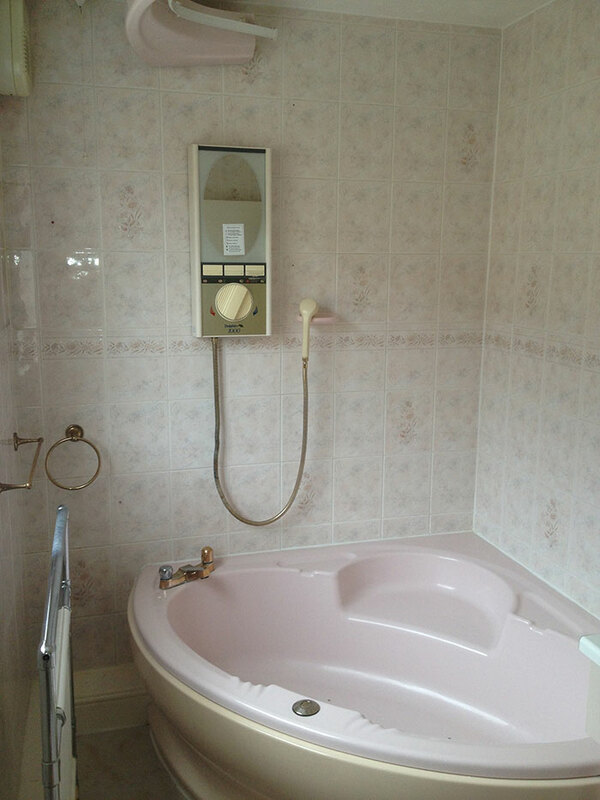 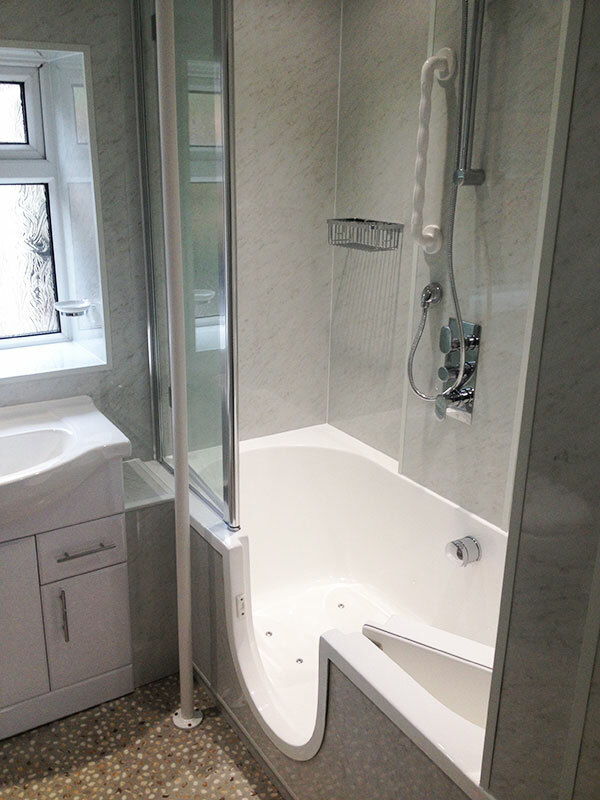 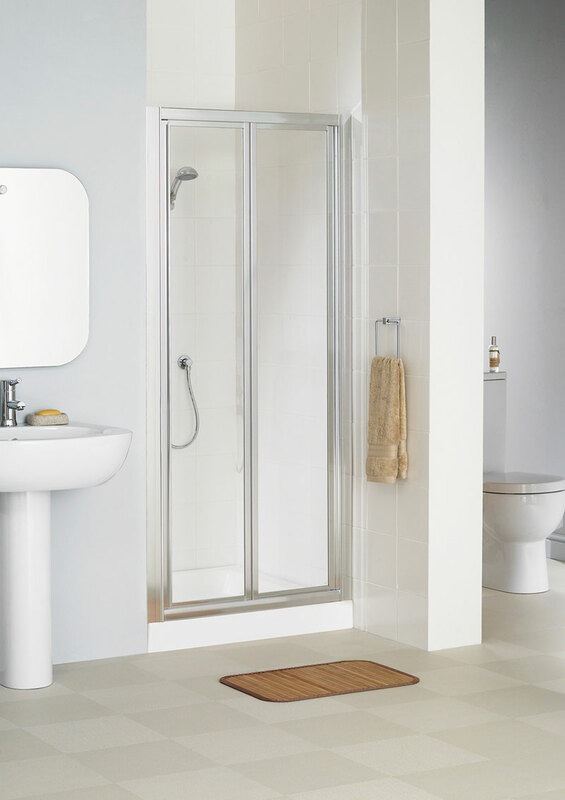 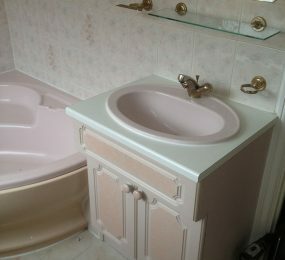 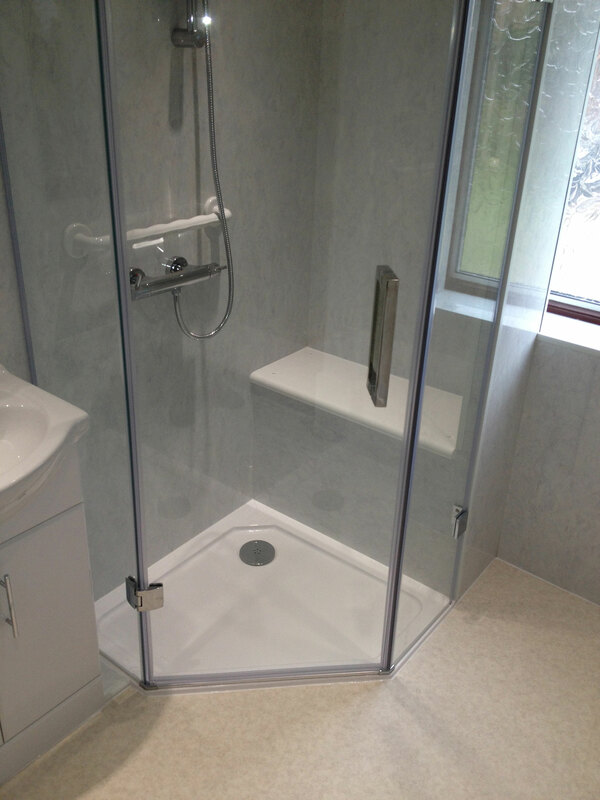 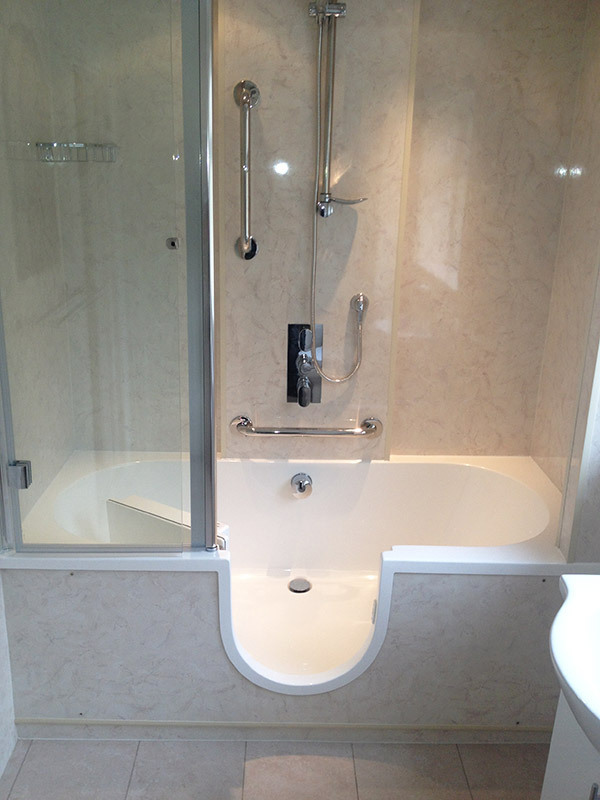 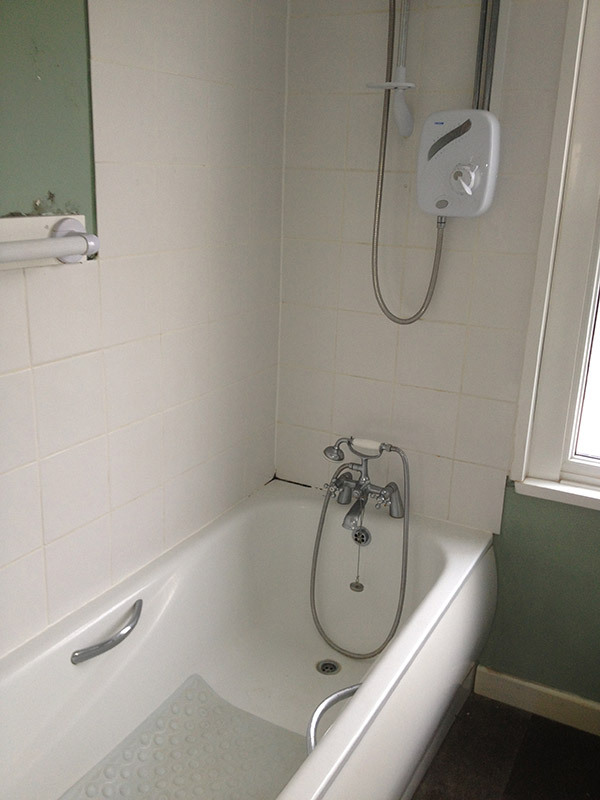 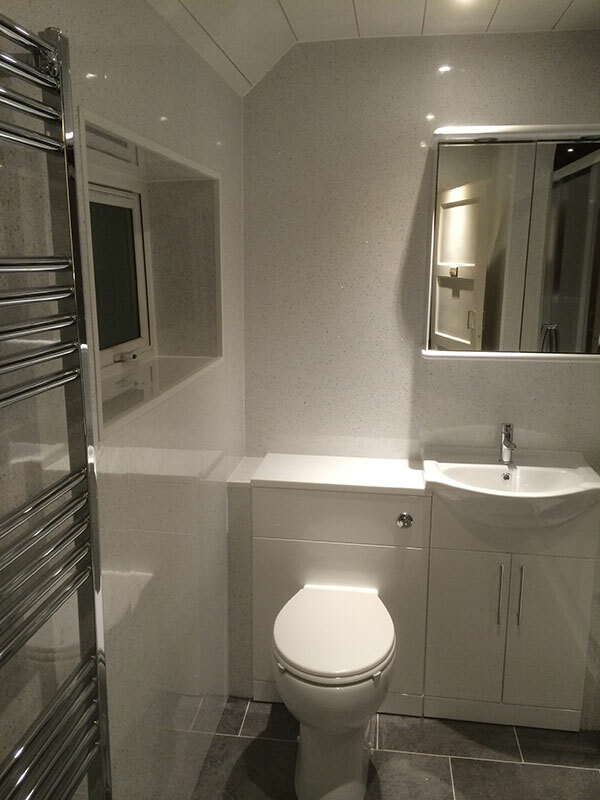 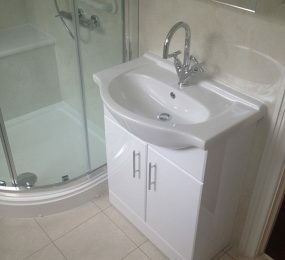 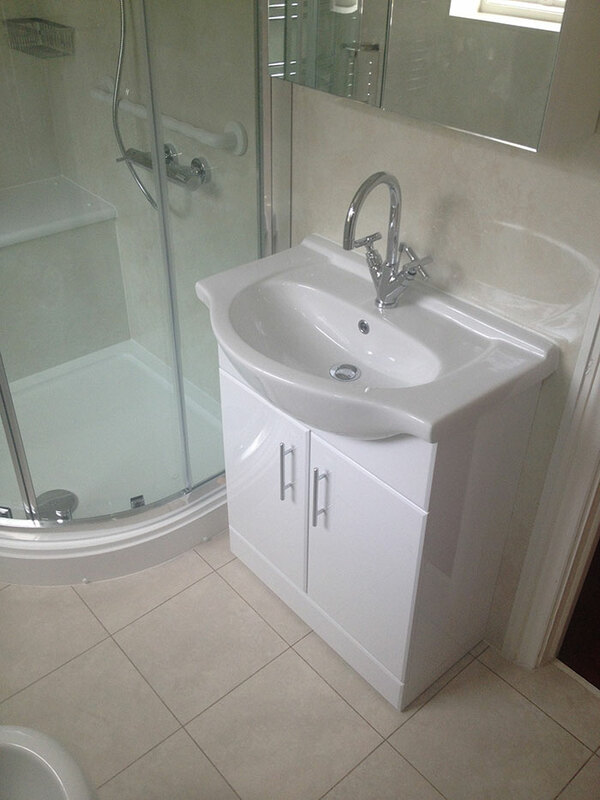 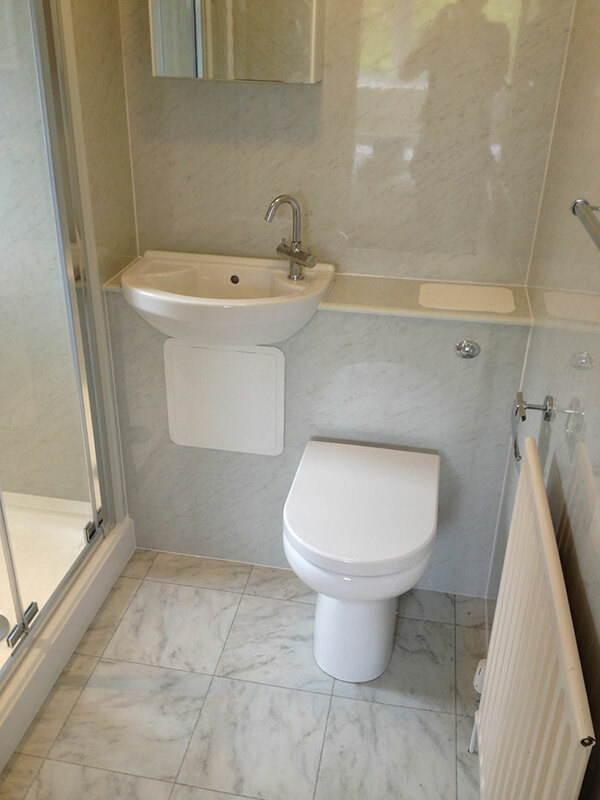 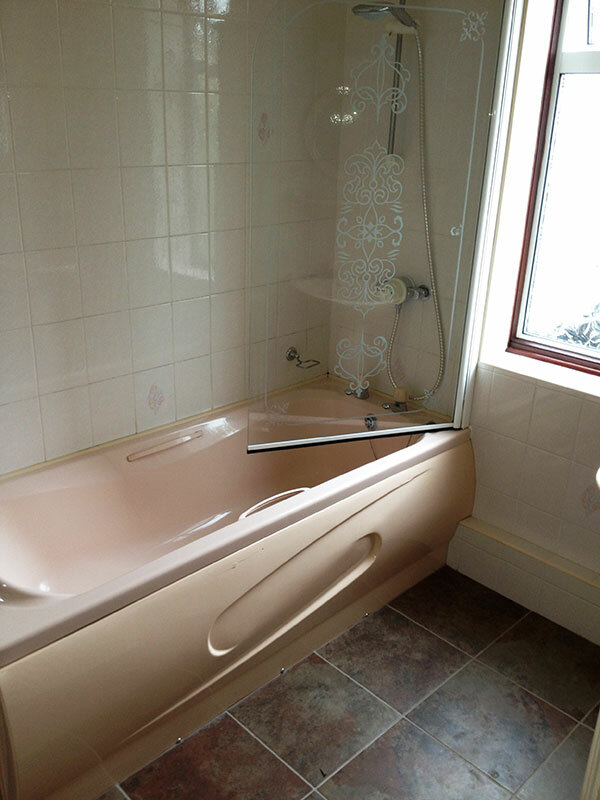 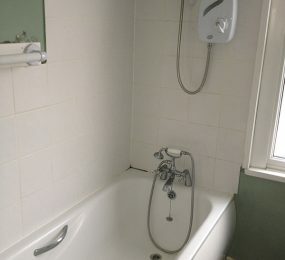 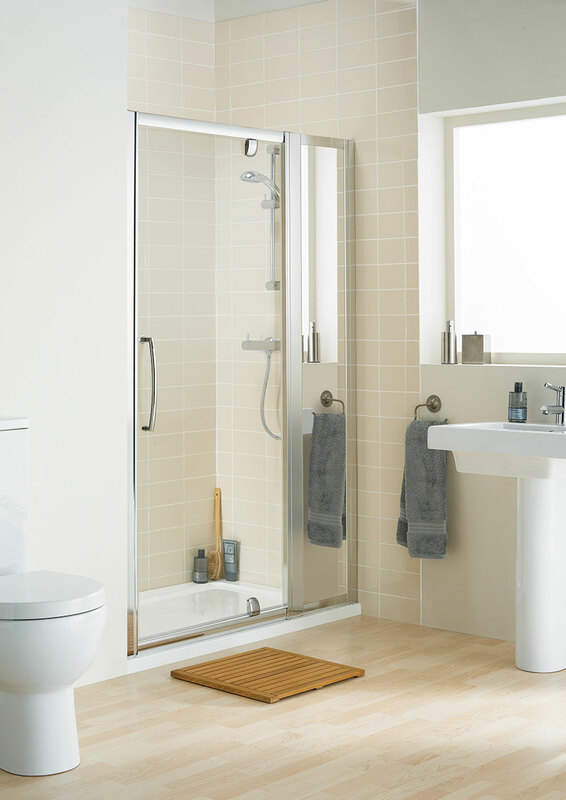 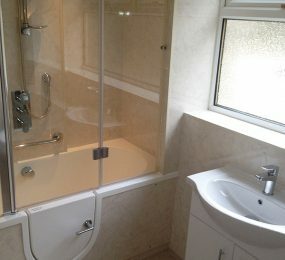 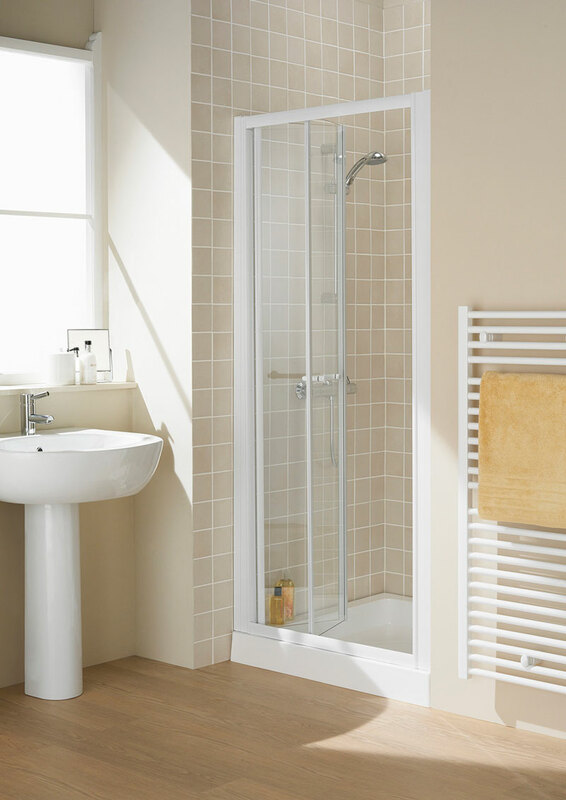 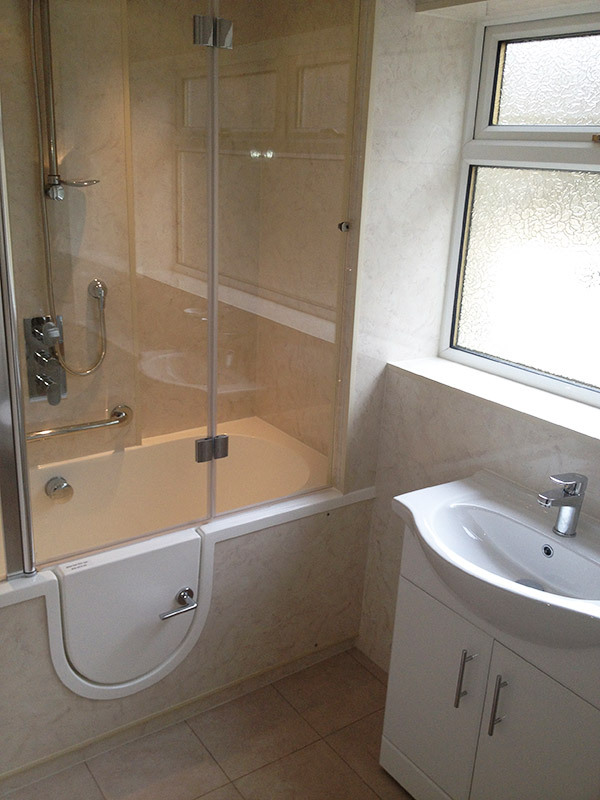 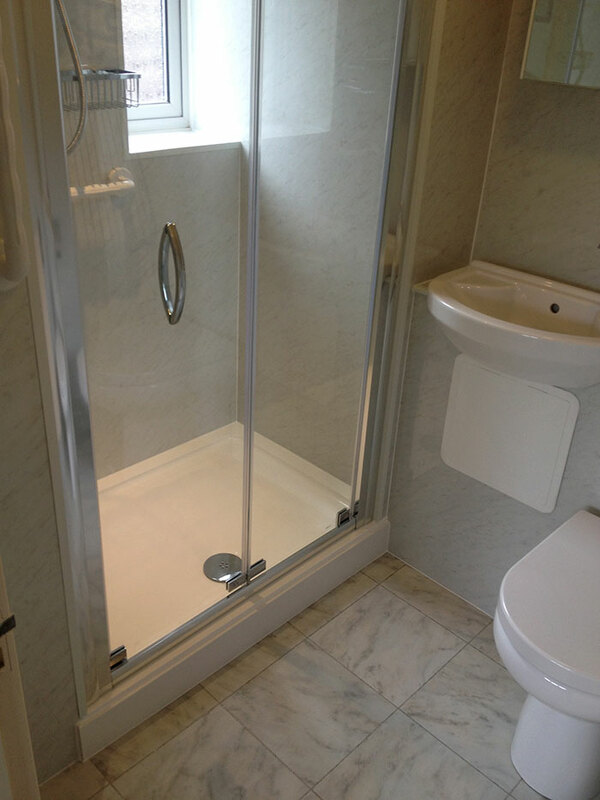 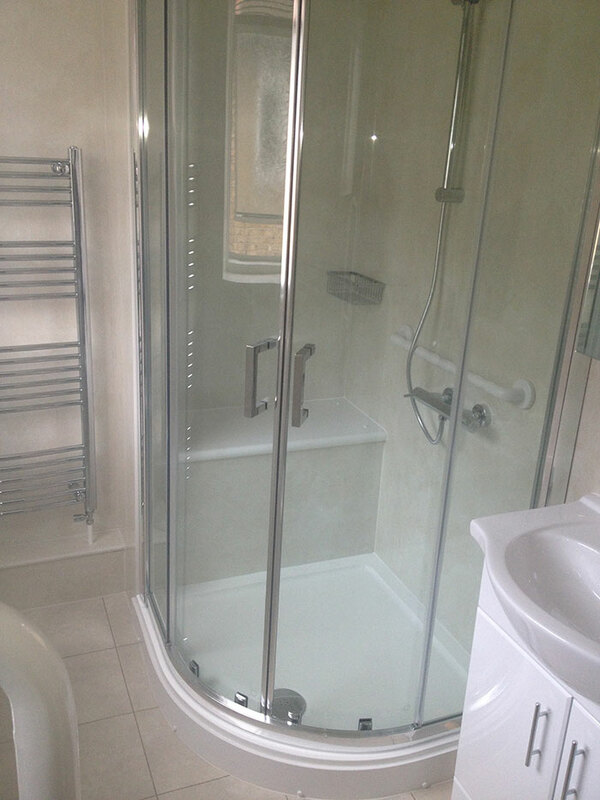 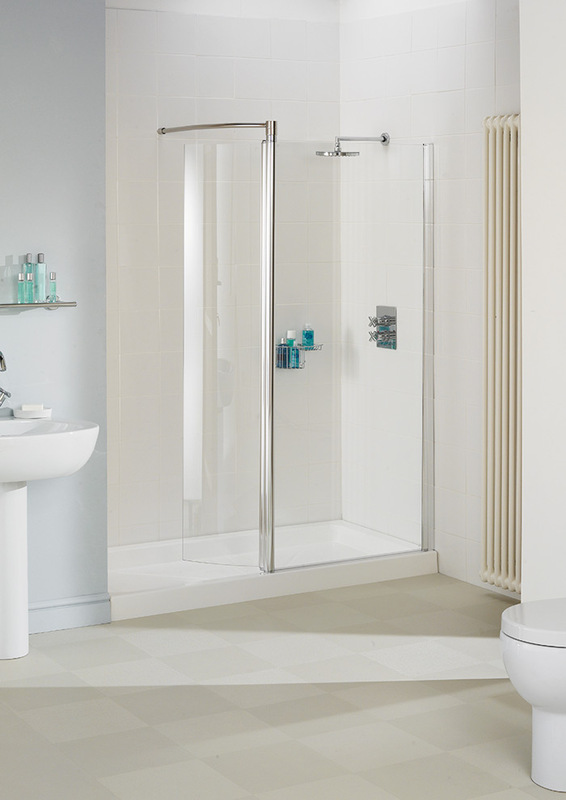 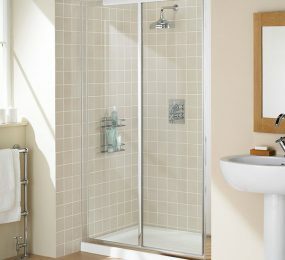 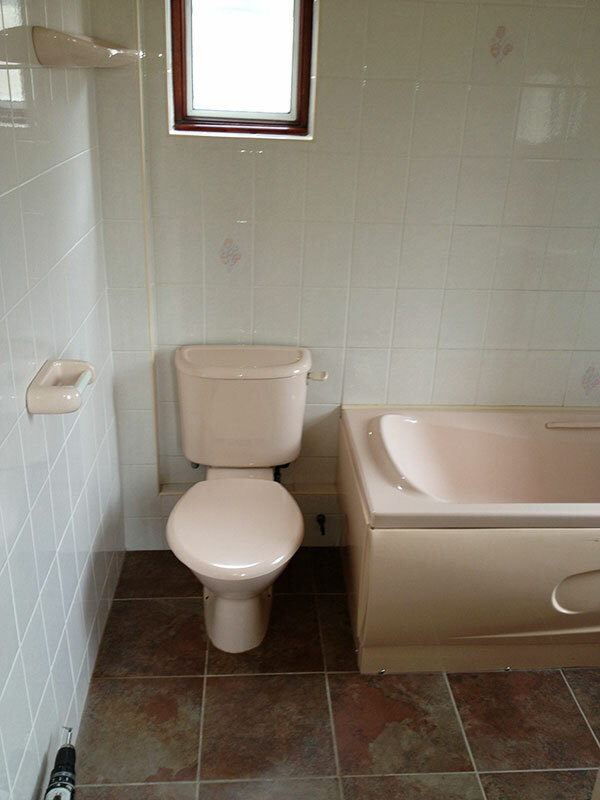 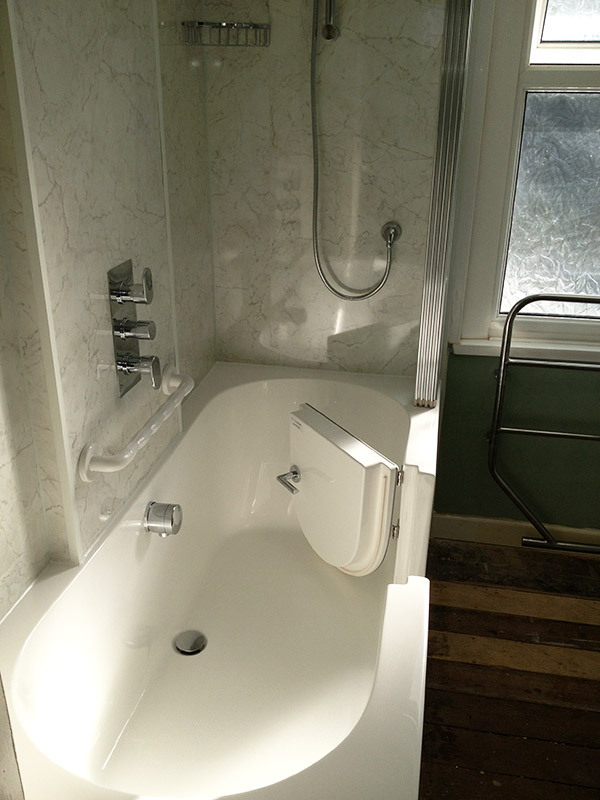 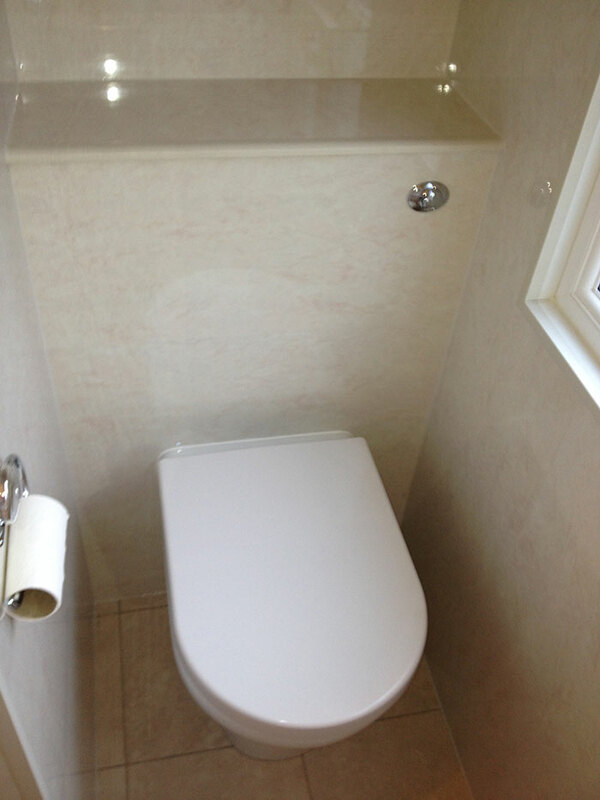 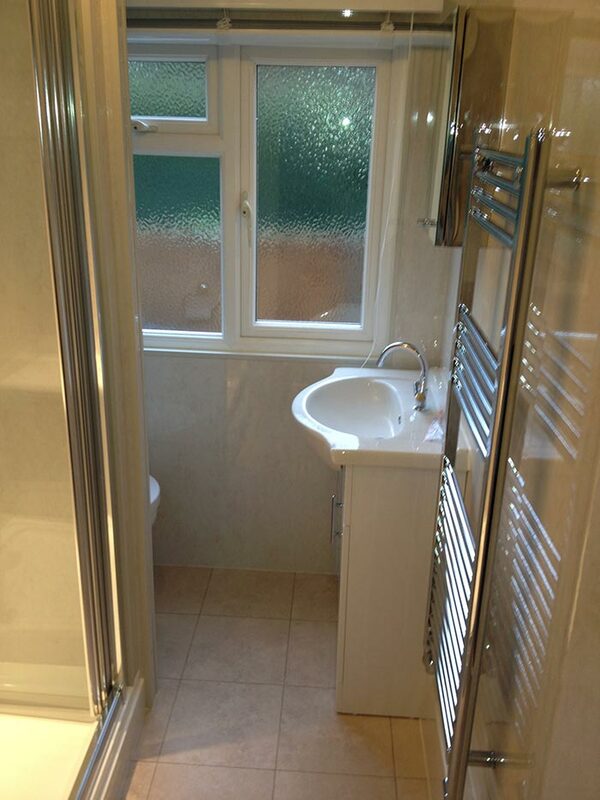 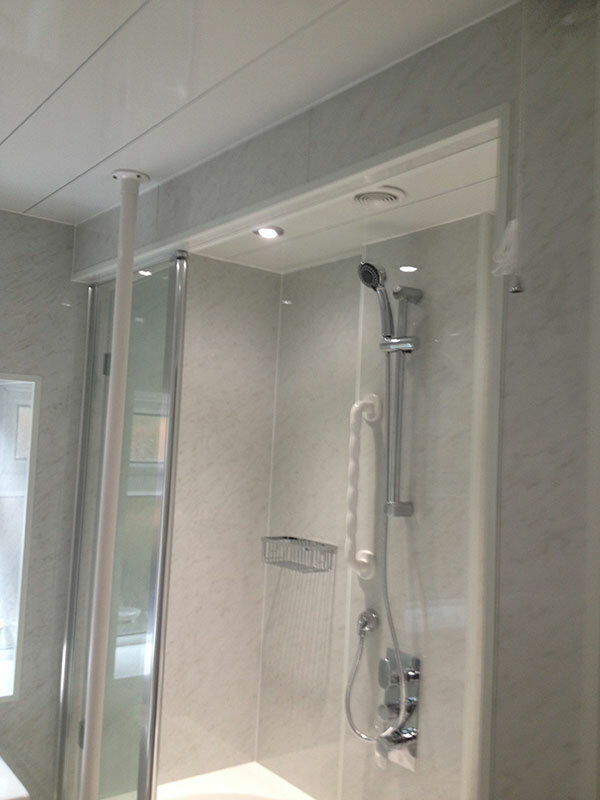 We feel that just because your bathroom has accessibility adaptations, it should not be any less stylish. 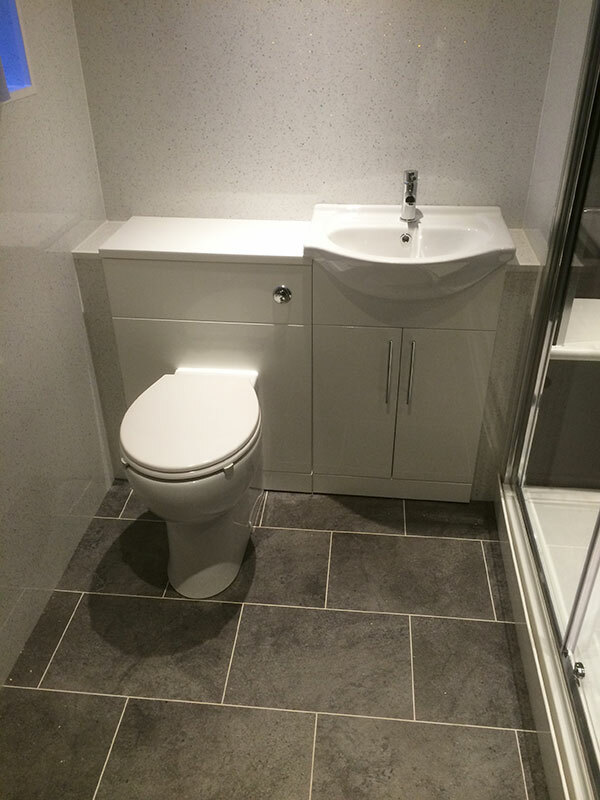 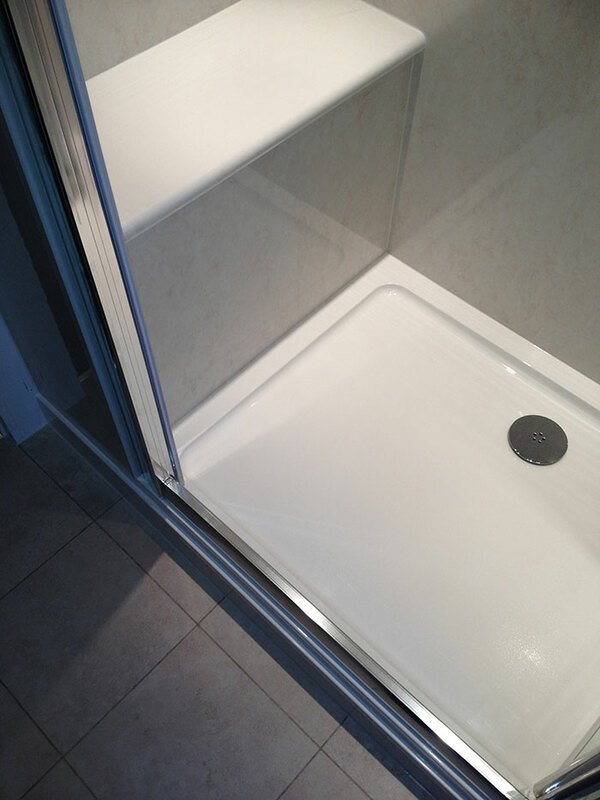 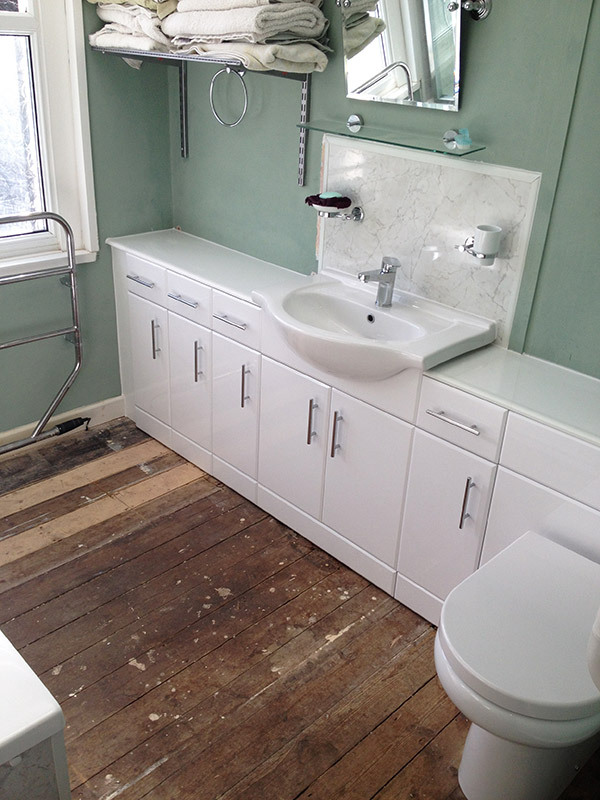 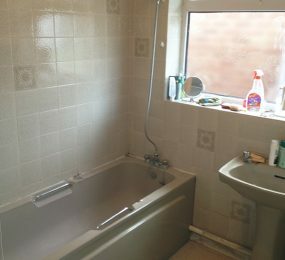 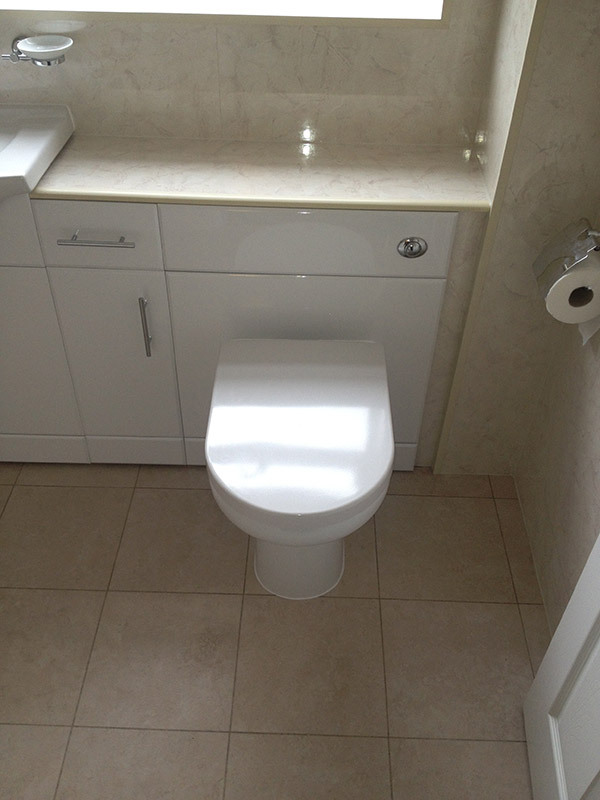 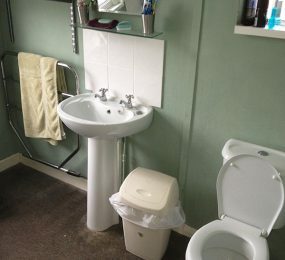 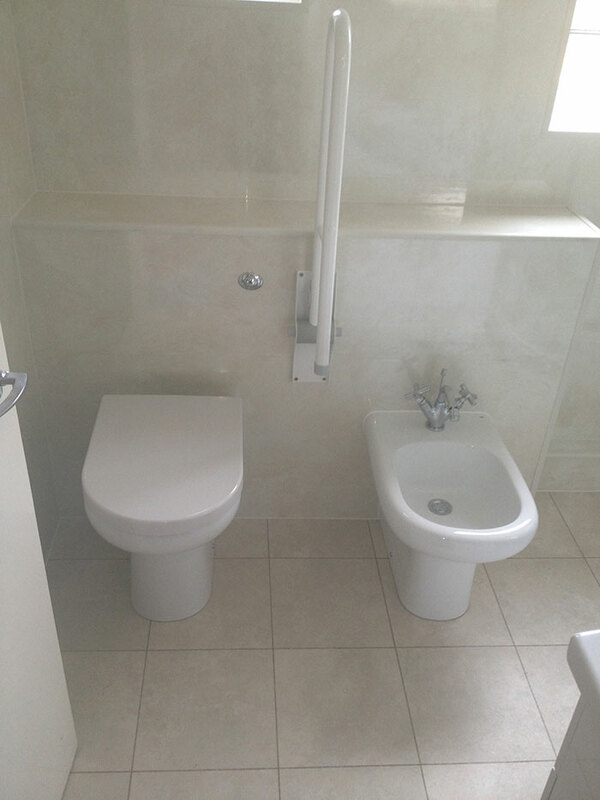 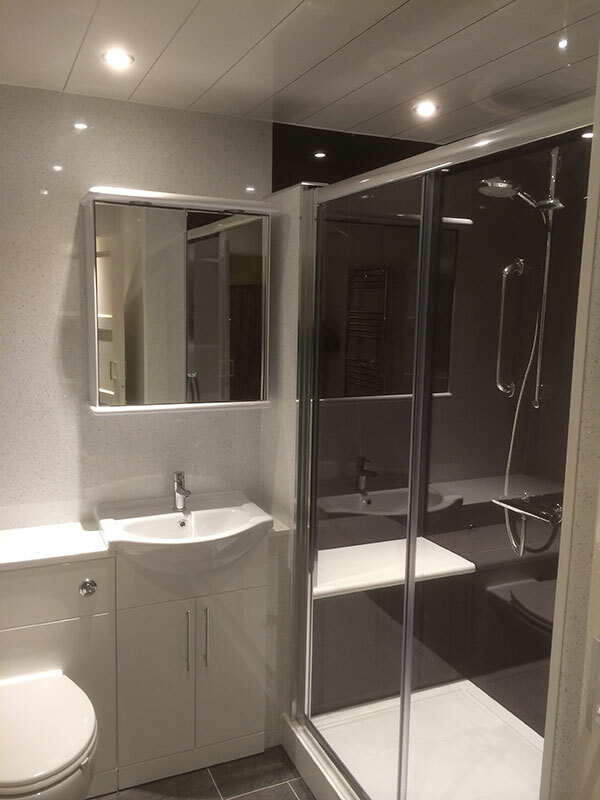 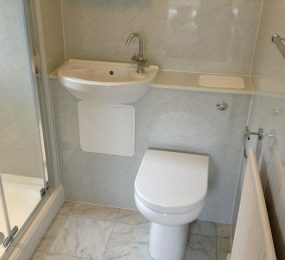 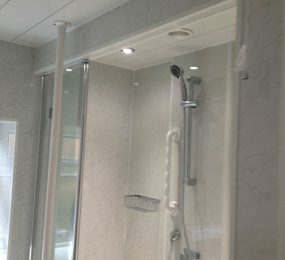 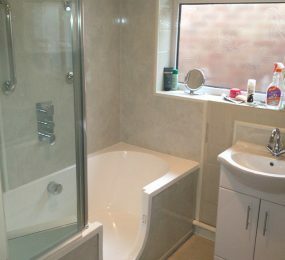 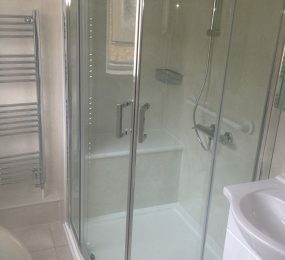 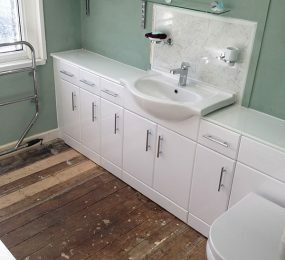 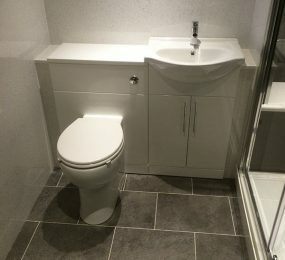 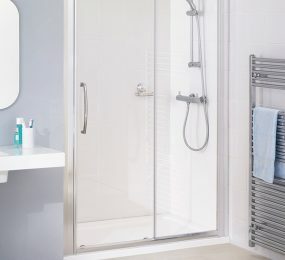 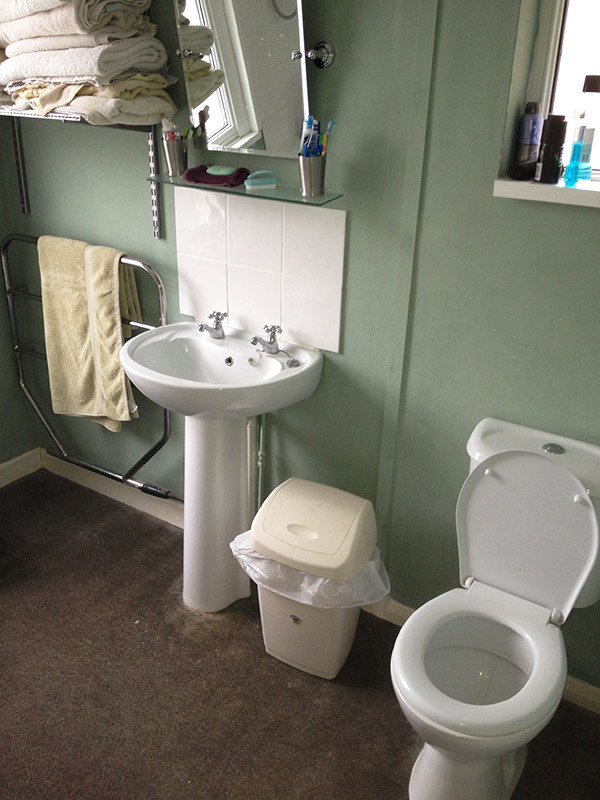 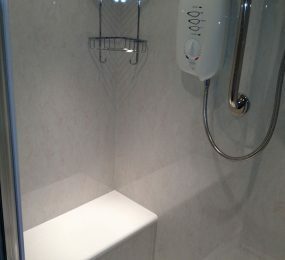 Our adaptations have a modern look, whilst also being practical to help you with daily tasks and making life that bit easier; complementing the style of your home and being a bathroom to be proud of. 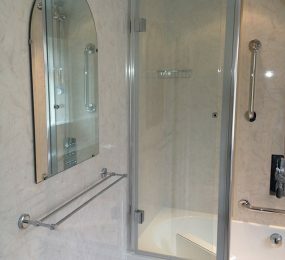 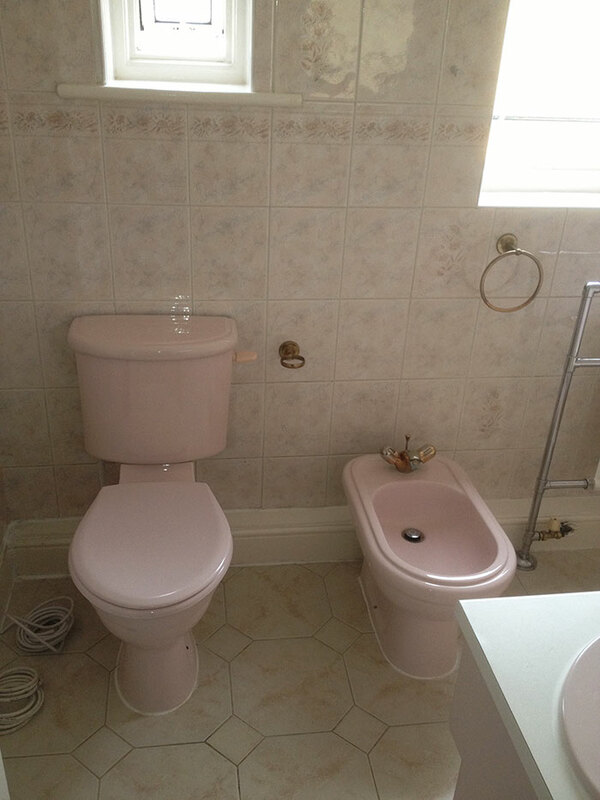 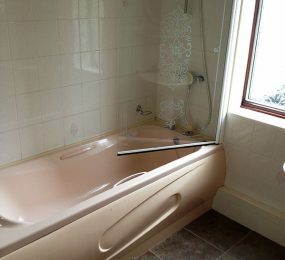 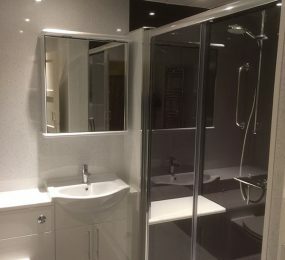 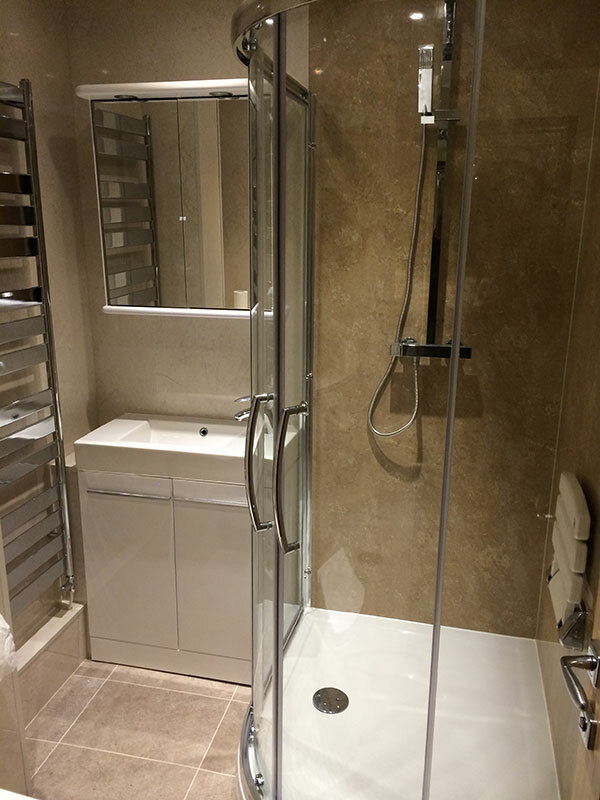 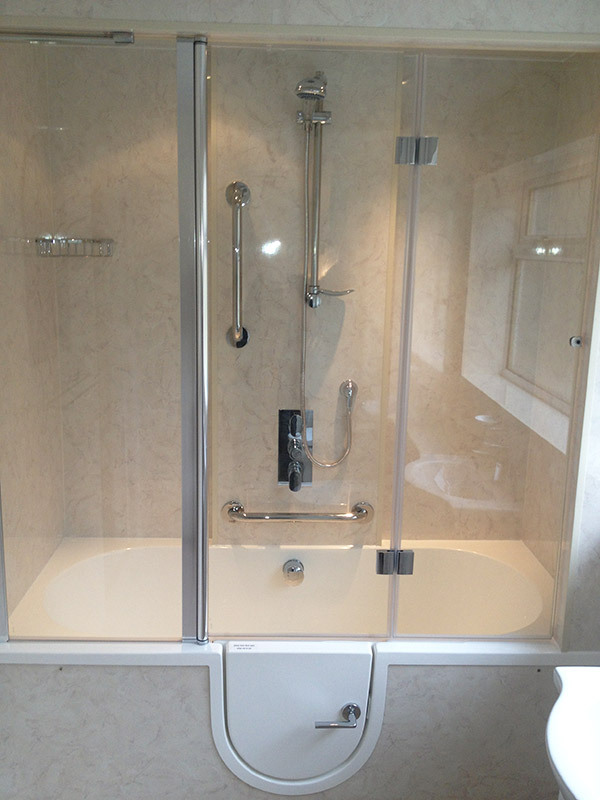 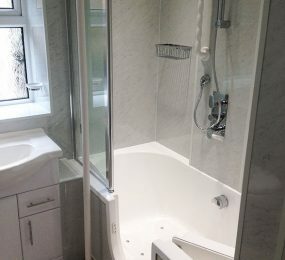 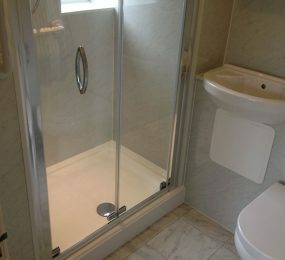 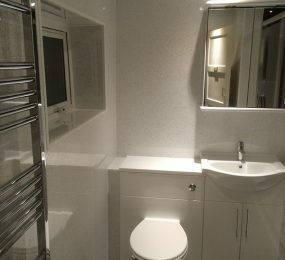 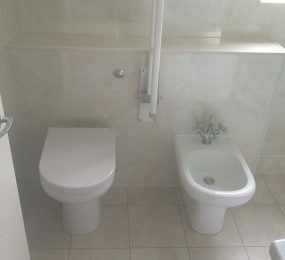 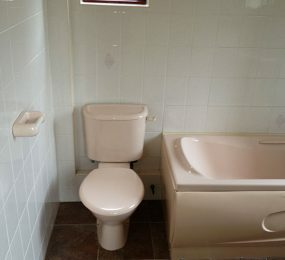 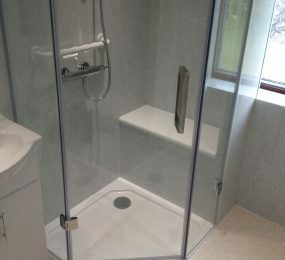 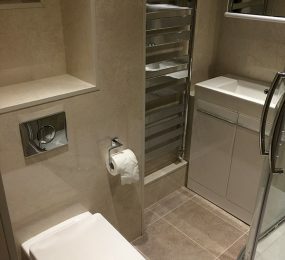 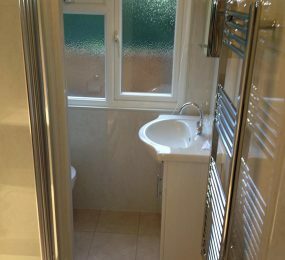 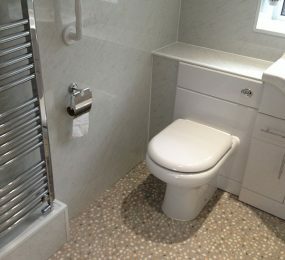 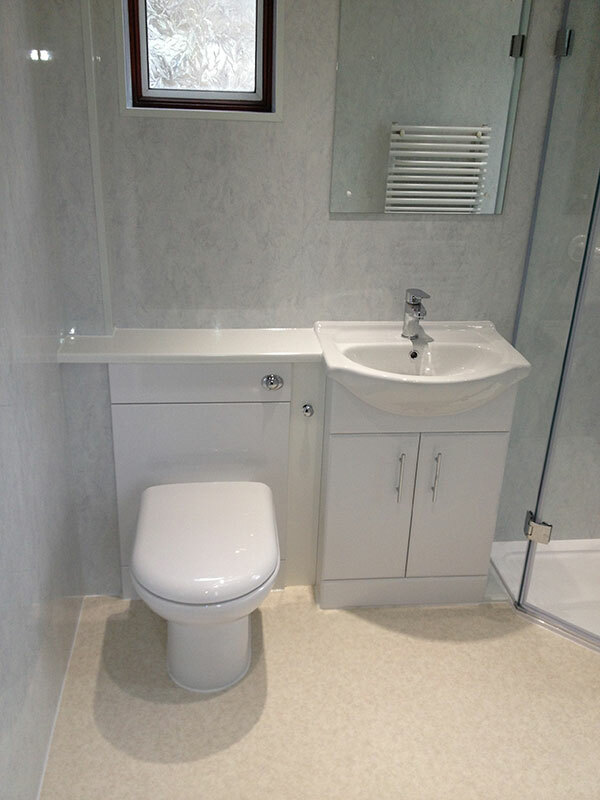 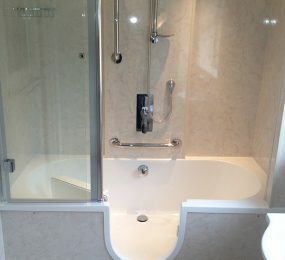 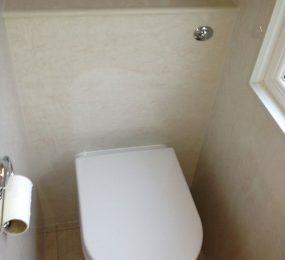 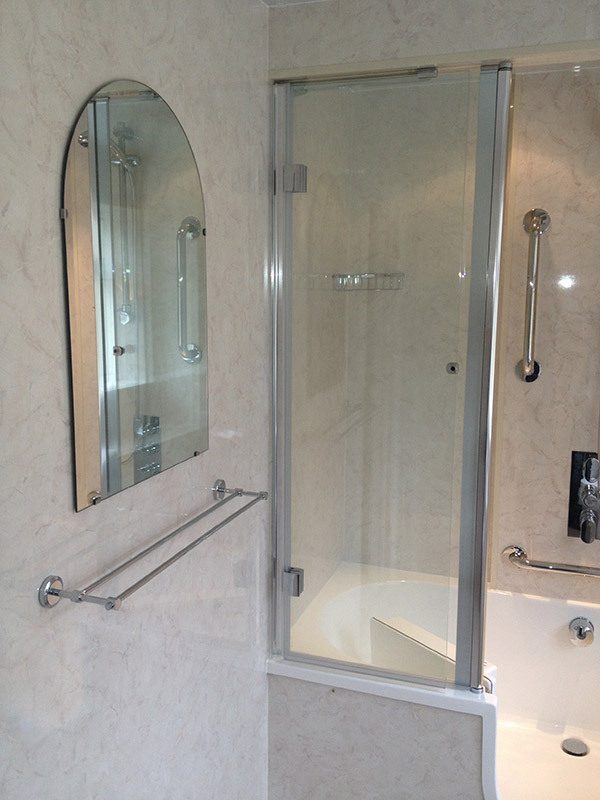 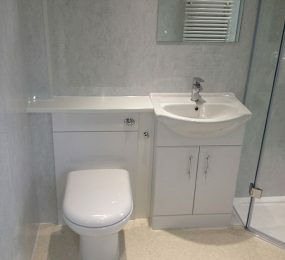 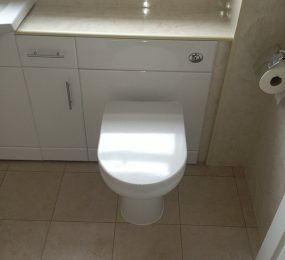 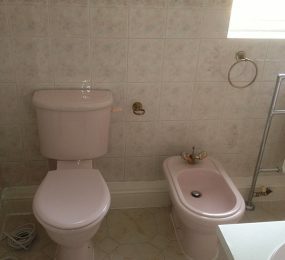 As you will see from our gallery, we create beautiful bathrooms (some fitted with accessibility solutions and some without). 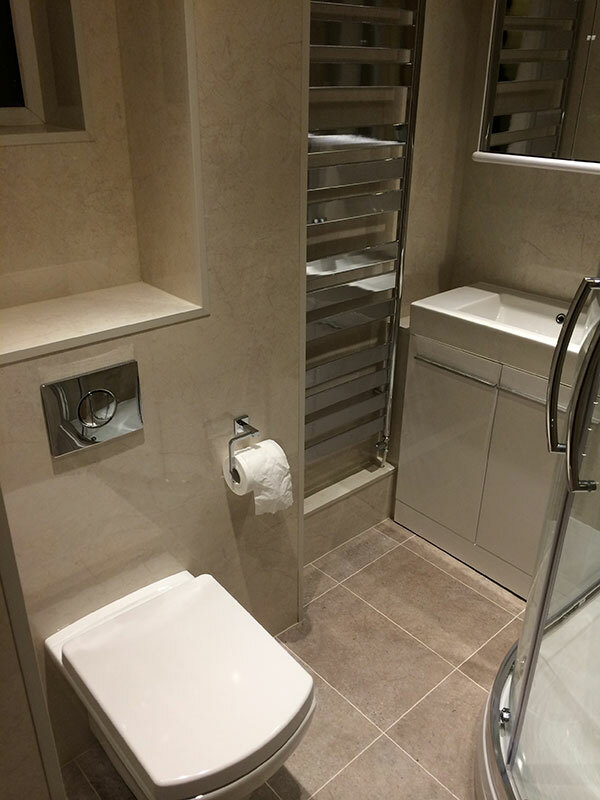 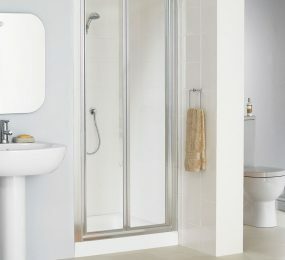 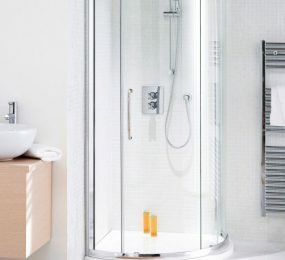 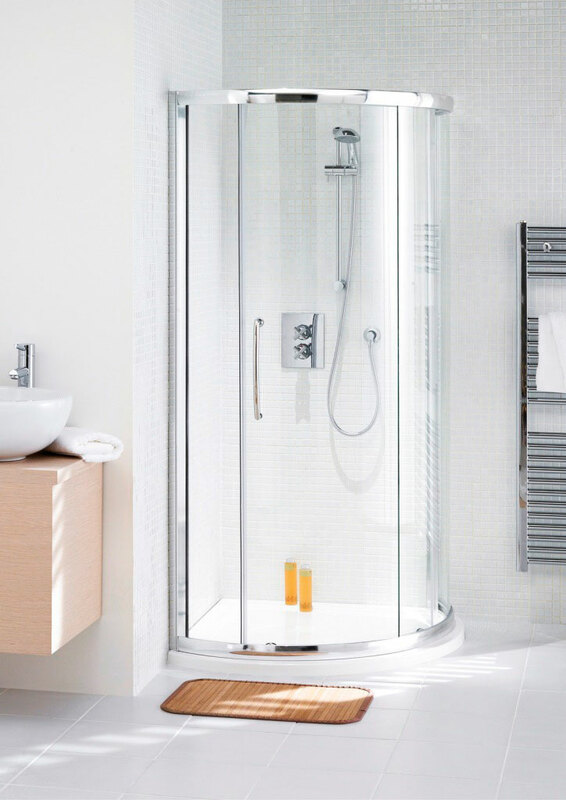 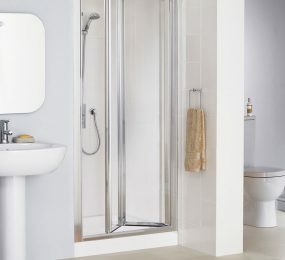 All of our bathrooms have a stylish element to suit your taste; we fit bathrooms which are both on a par with modern designs and suitable for more traditional homes. 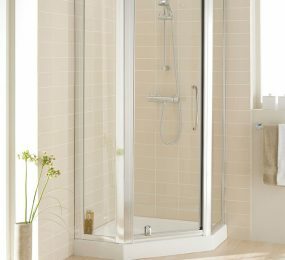 With our wide range of tiling and wall panel options, we guarantee that you can find the perfect bathroom style to suit your tastes. 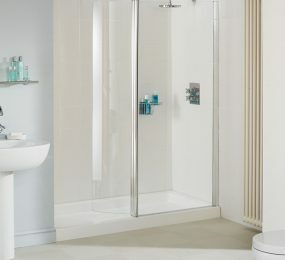 Take inspiration from our gallery so you can tell our designers what elements you would like to help us create your dream bathroom.